Tata Motors’ aggressive Turnaround 2.0 strategy has certainly been paying off as the Impact Design based Tiago, Nexon, Tigor and Hexa have been well-received among Indian customers. Having made debut in September 2017, the Nexon subcompact SUV had all the ingredients to compete against the established Maruti Suzuki Vitara Brezza and Ford EcoSport, and it certainly delivered with over 4,000 units of average monthly sales. The homegrown automaker surprised the enthusiasts when the production version came out almost identical to the concept. The powerful engine lineup and an upmarket interior have so far garnered good reception – complemented by the appreciable ride quality and multiple driving modes such as Eco, City and Sport for different conditions. As part of the annual celebration of its market presence, Tata had been teasing two limited editions and they have now officially gone on sale. Dubbed Tata Nexon Kraz and Nexon Kraz+, they come right on the back of the SUV receiving four stars in the stringent Global NCAP crash tests. Prices range between Rs. 7.16 lakh and Rs. 7.78 lakh for petrol and Rs. 8.09 lakh to Rs. 8.65 lakh for the diesel (ex-showroom). The Tata Nexon Kraz special edition is positioned right in the middle of XM and XT variants with noticeable exterior tweaks and added equipment to entice buyers. 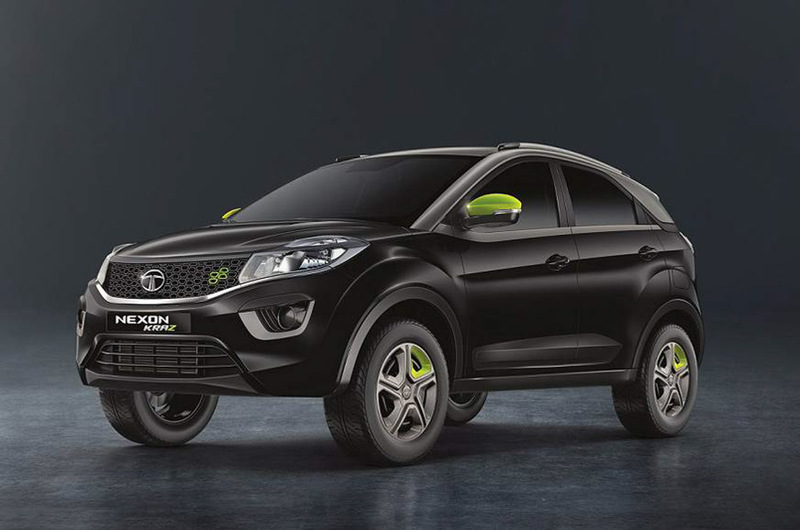 As for the exterior, the Tata Nexon Kraz and Kraz+ gain a sporty bi-tone black colour theme with the roof finished in silver. 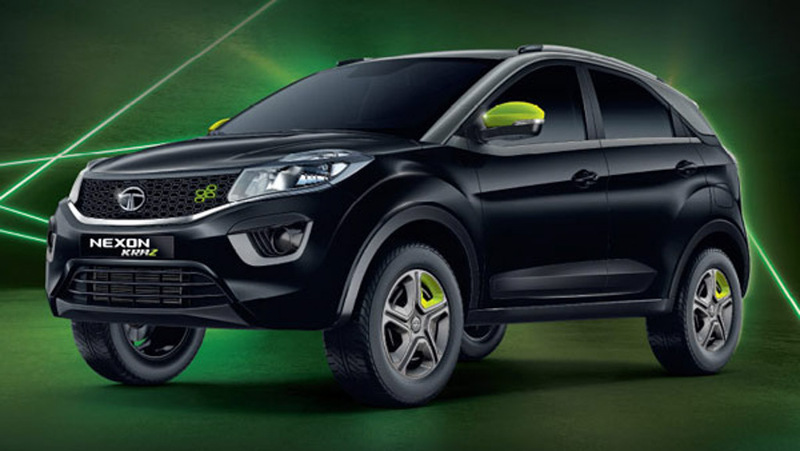 To differentiate themselves from the standard Nexon range, the limited production run Kraz models have been applied with bright neon green paint as well for the rear view mirrors and wheels, along with the same contrast touch on the front grille. Tata has carried the same colour scheme and used inside the cabin with bright green shades on the Air Conditioning vents and neatly finished outer layers of the seats. The door section, dashboard ands centre console have also been highlighted in piano black trim, just as in the regular model. Moreover, the Tata Nexon Kraz+ gets relevant badging between the control dials in the centre console – apart from roof rails, electrically foldable wing mirrors, illuminated and cooled glove box, automatic climate control, roof rails and rear AC vents. Other important equipment present are power adjustable ORVMs, USB, Aux and Bluetooth connectivity, multi-spoke steering wheel with integrated controls, four-speaker Harman audio, reversing sensors, etc. No mechanical modifications have been made as the Kraz limited edition continues to use the 1.2-litre Revotron petrol and 1.5-litre Revotorq diesel engines. The former is good enough to produce a maximum power output of 110 PS and 170 Nm, while the latter makes 110 PS and 260 Nm peak torque. Only the six-speed manual transmission is offered in the special variants.